Leo Varadkar performed the official ceremony at Castleknock, inside a Lidl premises, yesterday. It comes as 159 post offices are due to close across the country, with counties Donegal and Galway among the worst areas affected. The Taoiseach's opening of the post office in the Dublin West constituency was criticised by opposition TDs. 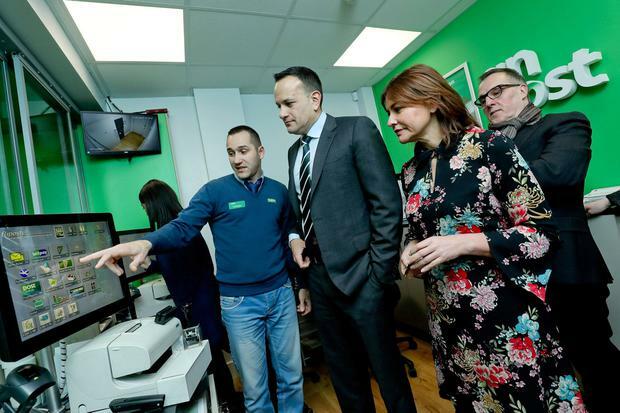 Marc MacSharry, Fianna Fáil TD Sligo/Leitrim, said: "Photo calls, profile launches, sound bites and the international merry-go-round are the hallmarks of our so-called leader," he told the Irish Independent. "Varadkar and Fine Gael have added insult to injury...extolling their undying support for the promotion of the regions while closing Garda stations and hundreds of post offices. "The election cannot come quick enough."